Did you know that more than $1 billion in gift cards go unredeemed annually? This is a staggering statistic offered by marketwatch.com. However, it is not entirely surprising. Many of us receive benefits or gifts from individuals and organizations we do business with yet fail to redeem them or take full advantage of the perks. The FCAP Member Advantage is one of those benefits available to anyone in the community association industry, and it’s free of charge; yet many of us forget to subscribe and allow the benefit to go unredeemed. The weekly e-mail goes out each Friday and provides news from around the state that you can use as a board member, manager, or business leader. The weekly e-mail is one of the best ways to keep up with trade shows, meetings, and breaking news. There are also “FCAP exclusive” articles you won’t see anywhere else. The FCAP Member Advantage weekly e-mail is free to any member of the community association industry. Membership in FCAP is not required. Why not give yourself the gift of knowledge this holiday season by subscribing to the FCAP Member Advantage weekly e-mail? Simply scan the QR code to the left and enter your e-mail. That’s all there is to it. The Cornell Lab of Ornithology defines an Ibis as a wading bird of the Deep South. The striking White Ibis is frequently seen on lawns looking for large insects as well as probing for prey along the shoreline. My definition of Ibis is equally as striking and distinctive. 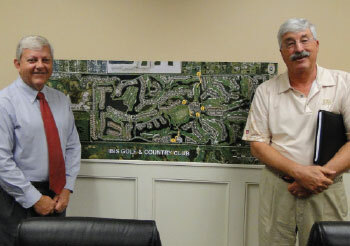 I recently had the opportunity to visit the Ibis Golf and Country Club Property Owner’s Association (Ibis), located in Palm Beach County roughly six miles west of Palm Beach Gardens. Ibis is situated on nearly 2,000 acres and has more than 1,800 residents and 33 neighborhoods. The property is also home to three highly-maintained golf courses, tennis courts, and swimming pools along with other luxury amenities. Ibis POA Board President Peter Stein, Master Association Treasurer and FCAP member Tom Rohrer, POA Executive Director Curtis Allison, CAM, and Tim Osborne Director of Maintenance welcomed me to Ibis for this month’s House Calls and Office Visits column. Ibis has won several awards throughout the years for their accomplishments as an association. However, on a day filled with dozens of questions and posing for photos, not to mention a detailed behind-the- scenes look at operations and staff, what impressed me most about Ibis was not the property, although it is magnificent and grand, nor its updates and recent improvements, or how well it is maintained. Instead, I was most impressed with the people. The positive attitudes of the individuals who took the time to stop and visit with me tell a story all its own. The people of Ibis are the key to this award-winning community. There is a true sense of humility here that is palpable and evident in all that they do. The day’s tour began in the association’s main office with Rohrer and Allison sharing the challenges from their early days during the transition from developer-managed to a self-managed association. As with any endeavor, preparation and follow-up create a successful project. Ibis planned for success from day one and faced challenges head-on. One of the challenges they immediately embraced was their financial and accounting system. Ibis transitioned from their original accounting system to a more association-friendly system developed by KW Manage-ment (CFCSP Member). Allison mentioned that he knows daily where the association stands financially by the ability of this greatly improved system. Rohrer made the comment that they have the ability to use their smartphones to access and monitor association financial business, and both spoke highly of the system’s ability to maintain digital records. After visiting the association’s main offices, I got to see firsthand one of Ibis’ most recent projects; a greatly im-proved playground area. The area prior to construction consisted of a sand-filled play surface with simple playground equipment and no restrooms. The new playground area was renovated and constructed completely in-house by the association’s own skilled employees. It now contains a synthetic turf playground surface and shade structure with play equipment for children. Rohrer is particularly fond of the shaded bocce area. Adjacent to the playground area was a dog park with two strategically positioned fire hydrants. From the playground area, we made our way to the association’s public safety department. Ibis has an impressive gate house and advanced security system, which is overseen by their in-house public safety department. Osborne credits his success to his assistant, a talented Ibis staff, and the association for giving them the right tools to provide a high-quality result. A House Calls and Office Visits column would not be complete without a great conversation over a delicious meal. 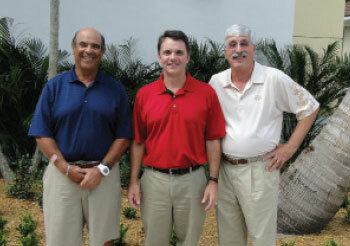 Ibis POA Board President, Peter Stein, joined Rohrer and me for a quick power lunch. Stein has served on the board for the past four years, two of those as Vice President and the past two years as President. I had the opportunity to ask Stein the question of why. What enticed him to serve on the board? Stein’s answer was thoughtful and genuine. “I wanted to give back to my association. I felt like I was fortunate enough to live at a place like Ibis. I should give something back.” I also asked him what had been his most enjoyable accomplishment. “It would have to be our work on turning the playground area into something all the residents could use. In the past, it wasn’t very user-friendly. No shade. No restrooms. With some of us living quite a distance away by golf cart, it was challenging for kids, parents, and grandparents to enjoy. Now with all the different amenities, everyone can make use of it,” answers Stein. The people I met at Ibis seem pleased with the current direction the association is headed, yet I sensed a positive desire on their part to continue to grow and improve. There is avery cooperative sense of teamwork present. I believe the success of Ibis can be attributed to the dedication of these individuals to work together and understand their roles. FCAP thanks Tom Rohrer, Curtis Allison, Tim Osborne, and Peter Stein for inviting House Calls and Office Visits to this unique association. Before Denise Griffen made the decision to become a licensed community association manager, she already had success under her belt in the real estate industry. As a new employee for a realtor in Sanibel Island, Griffen was handed the reins of a lagging, luxury vacation rental program. Not one to be satisfied with mediocrity and business as usual, Griffen set out to make changes to a longstanding program in a highly competitive market. With Griffen at the helm, the vacation rental program saw increased sales, yet more importantly to her future success in the CAM industry, the program experienced increased owner retention and an excellently run property management staff. Profits increased and owners were thrilled. Her next career move took her through the title processing side of the real estate industry giving her experience and skills in the flow of documents and paperwork. Lien search, title search, and estoppel became her life and took Griffen to a higher level of industry knowledge. 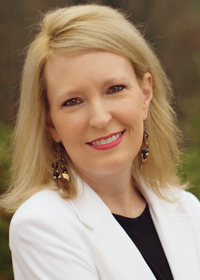 Although Griffen continued to grow in the real estate industry, her heart and life circumstances continued to come full circle and bring her into contact with the community association industry. She knew a CAM license and position in a community was where her heart, skills, and ambition would lead her. Griffen launched the next phase of her career as the high-achieving professional that she is. When asked about her management philosophy, it was no surprise to see Griffen’s response, “Be a high performance manager.” This is immediately evident to the FCAP staff. While studying for the Community Association Manager exam and after going through the state of Florida’s required 18-hours of pre-licensing course work, Griffen dove headfirst into the CFCAM program by attending FCAP’s 40-hour Florida Advanced CAM Studies course at Gold Coast Profes-sional Schools. Sitting among experienced managers at Gold Coast, Griffen took advantage of the years of industry wisdom surrounding her and worked closely with Gold Coast’s Director of CAM Education, Patricia Rogers, CFCAM. “Denise is a very impressive manager and sets high standards for herself and those around her,” says Rogers. “Demonstrate and reflect daily values and high ethical standards with an open door support policy. Know your clients and meet or exceed their expectations. Communicate a clear direction for the team and promote a strong sense of individual and team contribution. 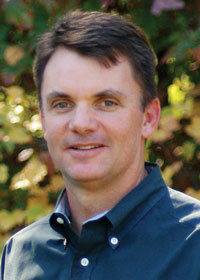 Be pre-prepared for board issues,” is Griffen’s advice for managers. 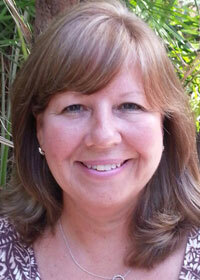 Her final piece of advice for all of us is one that proved beneficial to her in her leadership role in Sanibel Island. Her advice is to practice good time management. This often forgotten yet crucial aspect of management is the key to managing everything from a building project to daily office tasks. “Make the most of the time allotted during a typical workday,” says Griffen. As Griffen relocates to the Jacksonville area, FCAP wishes her the best in her search for her dream job; her first as a newly licensed CAM. One very lucky community will find a true gem in Griffen.